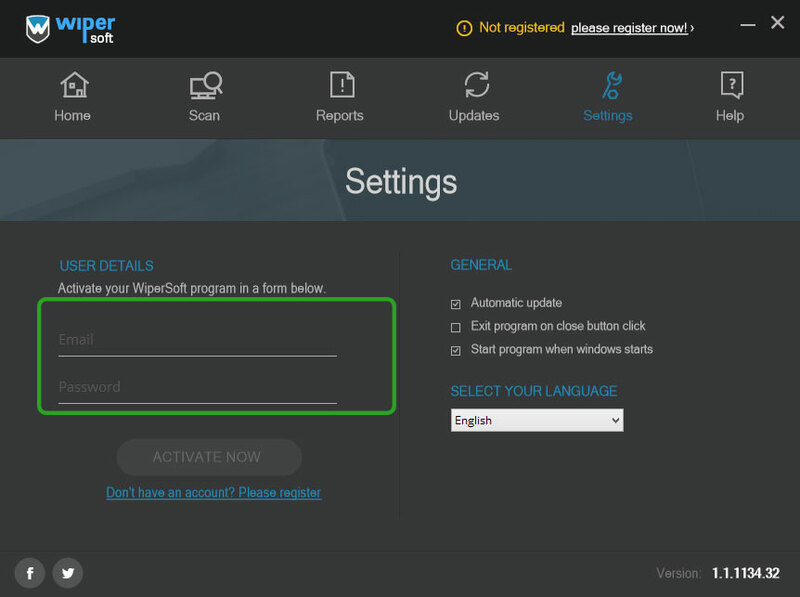 Instructions on how to configure Account Settings and Activate WiperSoft will be provided below. 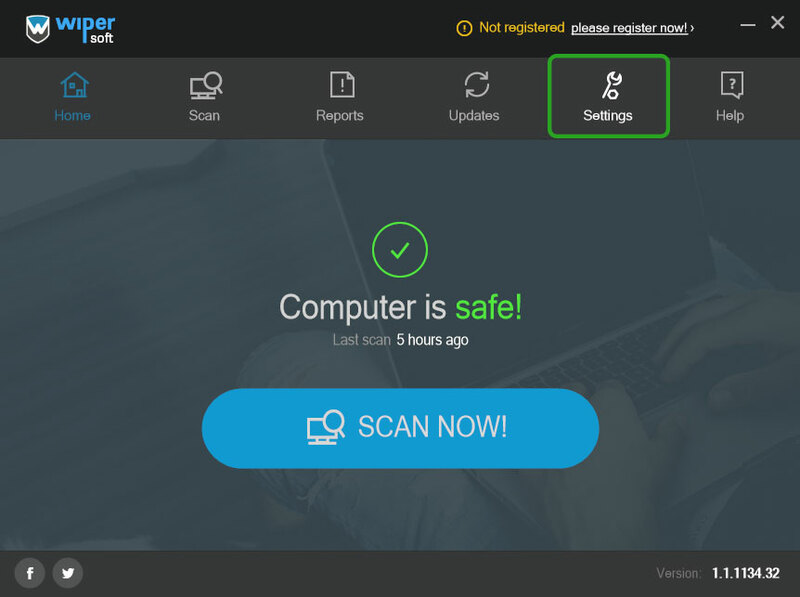 Note 1: In order to activate WiperSoft, you will need to disable any firewall software that may be operating on your computer. Once the activation process in complete, you may turn your firewall on again. 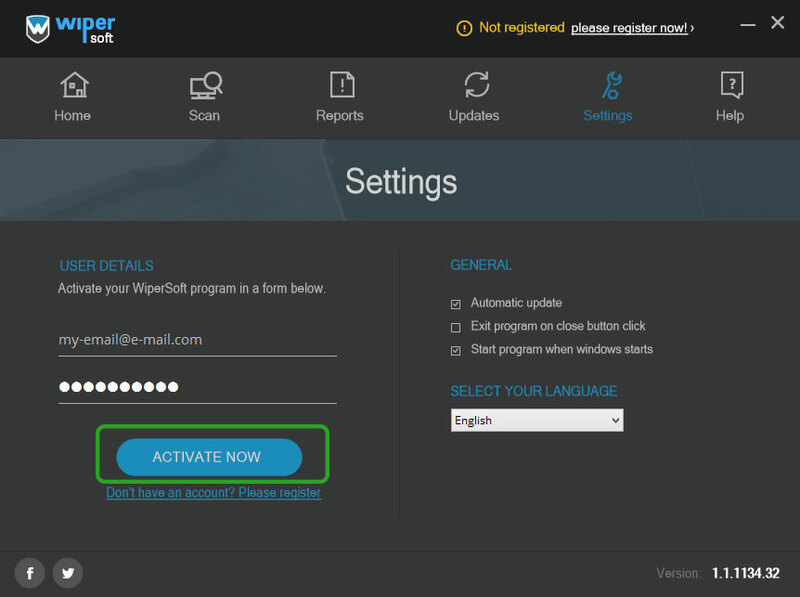 Note 2: If you do not see a ‘Not Registered, Please Register now’ message when you open WiperSoft, that means the program has already been activated. Open WiperSoft software and click the Settings tab. Under “User details” section type in your username (email) and password. Note: Ensure that the username and password fields are blank when you type in your details. If there is something saved, delete it. Please double check that you put in your email and password correctly, i.e., as was stated in the email.